Everything just seems less silly in comic books. Be it wearing your undies on the outside of a tight fitting brightly colored suit or wearing a flag around or you know, masquerading as an animal. 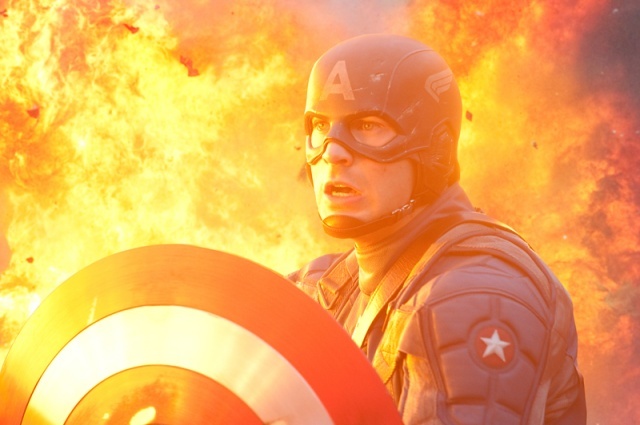 The first of the Avengers, yet ironically the last of the Avengers to arrive on the silver screen. I guess it is indeed hard to come up with a proper Cap'n movie as they are so many elements that they can screw up with. 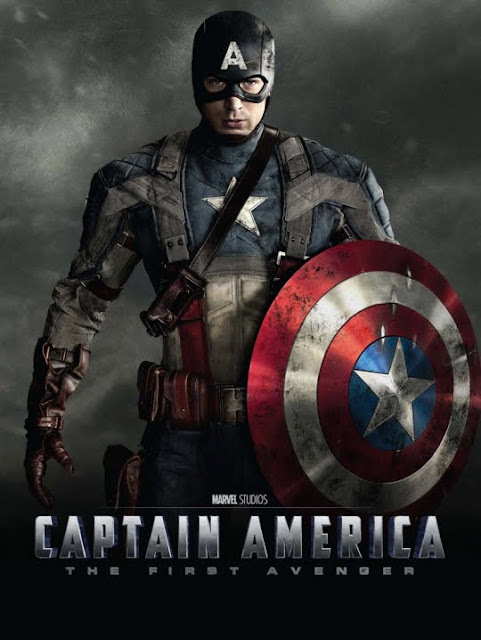 The suit, the symbol it stands for and of course, the right actor to portray the character. For the sharp non-geek movie lovers who finds the protagonist highly familiar in a super hero setting, your hunch is right, he is the very same guy who is the hot(literally) Human Torch/Johnny Storm from the Fantastic Four movies. Forget about the existence of that group or any marvel superhero/es movies for Marvel is now trying to create a single universe where different super heroes from different stories might bump into each other in the supermarket. 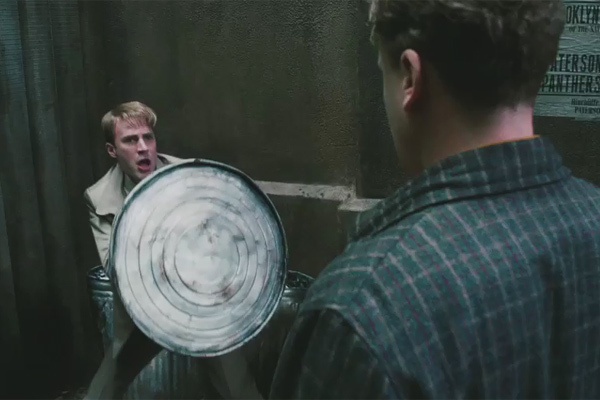 All doubts of Chris not fitting into the role well by becoming Captain Torch or Human American is out when I am rooting for tiny scrawny Steve Rogers, created wonderfully with the wonders of technology. Tiny Steve really steals the show and makes audiences support this scrawny underdog with a good heart. The only time it comes close to the aforementioned to that is during this scene(or any scenes involving fire). But nope, he never really caught on fire. Scrawny Steve is seen working really hard while holding on to his principles of never giving up and being a true blue( and red and white) patriot. a delicious piece of man-meat which ladies now would wanna sink their teeth into. There are many things that the studio did things right in this movie without making it feel unnatural and weird. First, it tries to incorporate multiple storyline elements from Thor and Iron Man into the movie without feeling too forced. 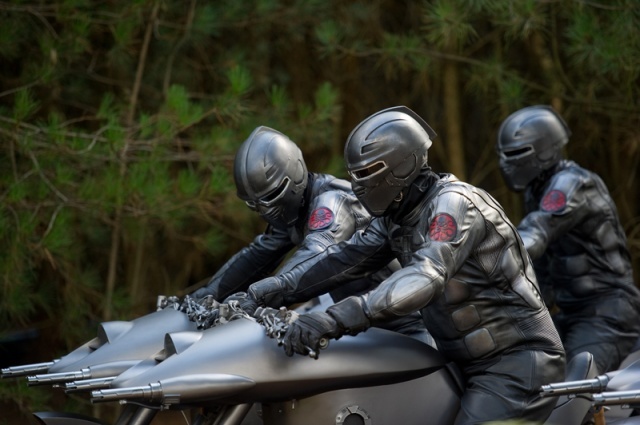 Set in the 1940s, you do not see much of the war nor vintage stuff, yet the movie still manage to (somehow) remind you that it's set in the 1940s despite the high tech machinery and soldiers. 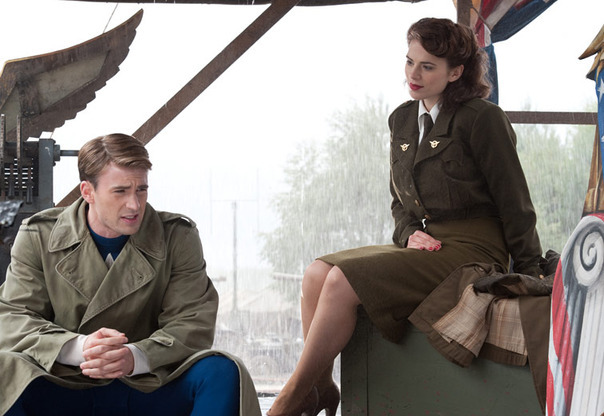 Second, the love between Steve and the lovely Peggy Carters (Haley Atwell) is not sudden adoration that makes no sense. 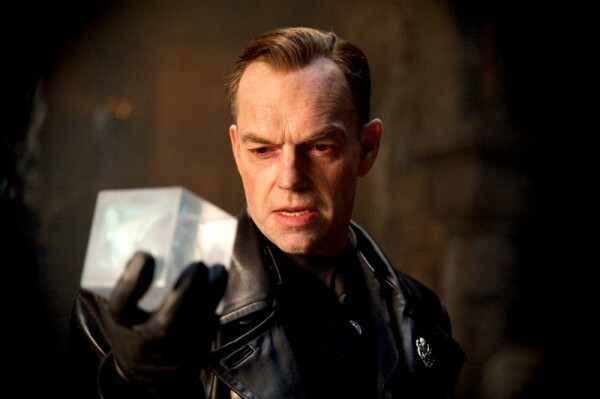 Third, the all reliable and ever menacing-looking Hugo Weaving as the main antagonist. He is always a safe choice as a villain or any character that have the word 'fierce' in their description. Even his smile might make me children scared. Of course, the suit. Marvel really succeeded in creating a Captain America suit without looking too silly and fitting in it's backdrop. Great. 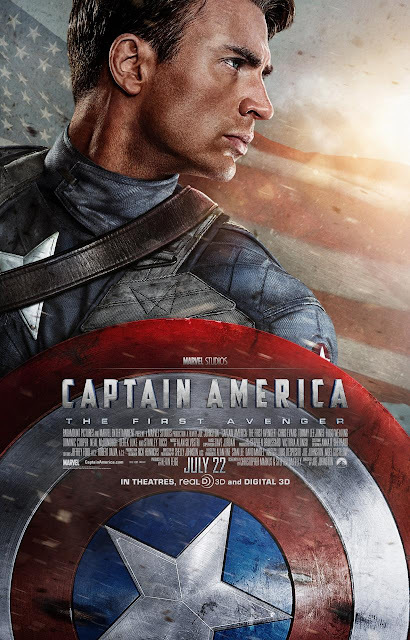 Overall, as a superhero film, it is really high enjoyable. Nevermind some of the underdeveloped supporting characters(save for Tommy Lee Jones delivering some of the best laughs in the film), the main star is the guy wearing and throwing the star. Ok, they do force you to do one thing, and that is to watch the ending credits to see a short clip of the build up to "The Avengers" and also, the trailer for it.